time it reaches the center of Phoenix, it is simply a dry river bed with little water reaching the streamside riparian zones (interface between a river and land) and flood plain wetlands. Similar to many urban streamside areas, plant and wildlife diversity in Phoenix suffered great losses due to disconnection from historic water sources. Cities across the country, like Phoenix, have plans in place to restore urban streams, hoping to reconnect riparian or wetland areas with conditions that can support plants and wildlife. 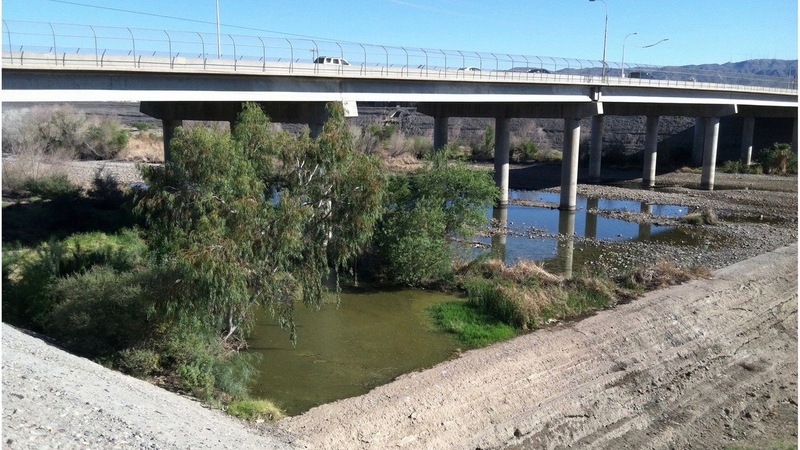 In recent years, however, several “accidental” wetlands have popped up along the Salt River where storm water drainage, municipal waste water streams and other unwanted water sources have leaked into surface soils. Accidental wetlands are spotted all over the United States including on suburban street corners and abandoned low lying industrial areas. They support large freshwater wetland plant communities and provide other services such as water quality treatment, flood control and animal habitat. Because they use a novel water source, municipal and urban runoff fed wetlands are not well studied, so there is little information on the contribution of accidental wetlands to overall regional habitat restoration. Considering cities like Phoenix spend a lot of money to build, plant and maintain new restored wetlands, increasing low- or no-cost restoration projects could be an asset. A study by Bateman et al. (2014), aimed to find the differences in the quality of wetlands between those that were restored using man power versus passive restoration. They evaluated plant, bird and herpetofaunal (amphibian and reptile) diversity to examine how restoration influenced the productivity of streamside wetlands near the Salt River. They compared accidental wetland sites with sites restored with water diversion and wetland vegetation plantings. Accidental wetland in Towson, MD. Source: Palta, Monica M, et al. In order to provide ecosystem services for diverse animals and plants, one must look at the larger picture and see that a wide range of habitat types along the Salt River may in fact be just what it needs to provide for rich wildlife communities. Accidental wetlands can also provide services outside of wildlife habitat. Things like carbon storage and water quality treatment are effective in passively restored areas, lending to their necessity in regional urban restoration. Storm runoff and wastewater will be a relatively affordable water source in future dry landscapes where we expect a further 47% reduction of total freshwater discharges by 2050. Because their water sources are not necessarily guaranteed or controlled, it is unclear how accidental wetlands will respond to changes in climate or water quality over time. We need to understand what role water origin plays in order to guarantee these wetland’s place in future restoration efforts. Learning to manage urban environments and use available resources wisely can help mitigate problems associated with growing human population and decreased freshwater availability. Accidental wetlands, and the services they provide, can bring a missing piece to urban restoration and play a large role in creating more sustainable cities. You can find the lead author from the cited paper on Twitter! Palta, Monica M, et al. “Accidental Urban Wetlands: Ecosystem Functions in Unexpected Places.” Frontiers in Ecology and the Environment, vol. 15, no. 5, 2017, pp. 248–256., https://doi.org/10.1002/fee.1494. ← Bacteria can eat plastic?